Have You Ever Wanted To Be An Entrepreneur? 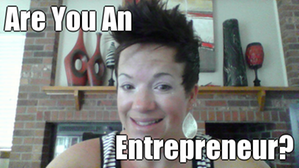 Have you ever wanted to be an entrepreneur? If your answer is no, I totally understand – I never wanted to be one either! Now, does that surprise you? It should – especially if you have read my blog and know that I’m a huge business person. There is a difference in loving the art of business and actually being an entrepreneur. Did you read the part that said considerable risk? Ok, stop everything right now – know this about me – I’m a WIMP!!! A huge wimp. It’s actually sort of funny because I have no problem talking to anyone, or being up on stage commanding a crowd, or leading a huge group of people to do some task – but when it comes to any sort of risk, I wimp out – big time! Funny the way God made us huh? 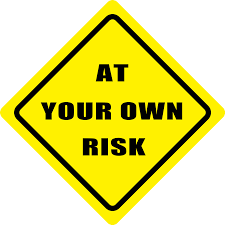 The risk-taking part of being an entrepreneur is the hardest part for me and the biggest hurdle for me to cross. But, I’ll admit, I have all the other parts covered – I love to organize, manage, and take initiative – and those three things outweigh my fear of risk and that’s why I’m an entrepreneur! If you want to be an entrepreneur and have no idea where to start – I’ll tell you one thing, you already have crossed a big hurdle – desire - dreaming of more! At the heart of every entrepreneur is a dream of more and that is a great place to start! If you find yourself dreaming about firing your boss, or dreaming of having more time to spend with your family, or simply dreaming of having more income coming into your household, then it’s time to get started! Being an entrepreneur doesn’t have to be overly complicated – simply decide it’s time to do something. Figure out your strengths and limitations, and then start considering your options. For example, you might be a stay-at-home-mom like me and dream of making some extra income for your household to pay bills and maybe save a little for a newer used car. You know you are good at sewing and cooking, but you also know your time is limited because you have young kids. You realize that a lot of people need their clothes tailored or mended and you decide to start an in-home sewing/tailoring business for your friends and neighbors, that you can do a couple hours a day when your kids are napping – and tadaa – an entrepreneur is born! It’s really that simple! It just takes some desire, passion, purpose and a drive to go for it! I’d love to hear your thoughts and ideas! If you have any questions – comment and I’ll try to help as best I can! I recently posted a video of my journey to becoming an entrepreneur – if you didn’t get a chance to watch it yet, you can now - WATCH NOW. 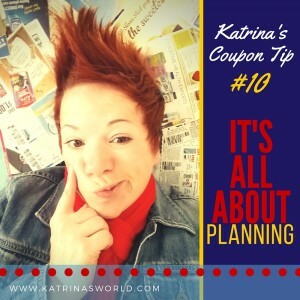 Planning is essential to maximize savings at the grocery store! If you want to save a lot of money on your groceries, you MUST take the time to plan. I like to think of grocery shopping as an art form and practice makes perfect! I’m totally serious about this. I won’t save on my grocery bill if I don’t take a few hours each week to plan where to get the best savings and which store to get them at. Every Wednesday when my grocery store sales ads arrive in the newspaper, I will glance at them and start making my shopping list. On Thursday I will check and print coupons from my online sources, go through my coupon book, start clipping coupons from the week before and matching up what coupons I have with the items on sale that week. On Friday I will double check my list and my stockpile and finalize my shopping trip. It takes work, but on average I save about 55% on my grocery bill each week. The time is totally worth it! I feel like a fraud, and I hate admitting that – out loud, and online. A fraud – sounds sooo awful, but I really do feel like a fraud – and a fraud not only in mommy hood, but with my friends, and at church, and with my spouse and with my family. I’ve really been struggling this summer with a lot of my inner emotions – not sure what’s up with the summer, but I’ve spent a lot of time deep thinking (don’t laugh, a lot of people will assume all I do giggle and smile and that I couldn’t possibly ever have a bad day, or think a deep thought…WRONG….it’s those people that I guess I can say I have faked out the most). While at church this past weekend our awesome pastor was talking about hope. It struck me that hope it exactly what I’m missing right now. Big time. 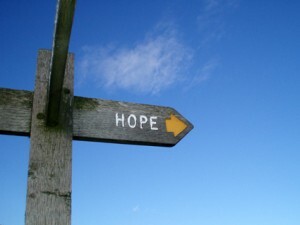 In my limited world view, at this time in my life, I feel like hope is a total pipe dream – and would describe my heart at feeling completely hopeless – but part of the problem is that I’m not even sure why. Call it mid-life crisis, or boredom, or being 35, I’m not sure, but hope is totally not there. 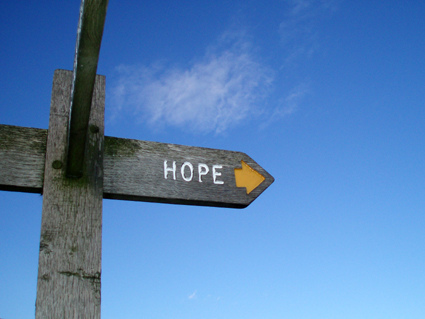 My pastor described hope this way: hope is a confident expectation – not just wishful thinking. Have you ever actually thought about this though? There are some things in life right now that I’m wishfully hoping will get better, like, I wish I could lose another 15lbs, and I wish I could go on a vacation, and I wish my business would grow faster. Deep down though, those things really resonate with me as well and when they don’t come true, somewhere in the back of my brain I chalk them up as failures. Then there is a whole other side of hope that runs so much deeper – all the way back to my childhood. I grew up with parents that were amazing and they told me constantly just how amazing I was. I grew up hearing on a very frequent basis that I was “special” and that God had very “special” plans for my life someday. Now I feel like I’m still waiting for that something “special” to happen, and every day that goes by and I’ve not accomplished that something “special” I feel like my hope dwindles and my failure rate increases. Quite honestly, it’s a terrible place to be living. Have you ever watched yourself from the other side of the room? I feel like I do this all the time…like I’m watching myself have an experience that I’m not really part of. Almost like I’m on autopilot and my body is off doing something that I’ve not told it to do…I’m going through all the motions of my daily life as a mom and there are moments during the day when I stop myself and I wonder, why am I doing that? I heard a great quote, “Try less and give more to God.” How hard is that to really do though? It’s like I feel so many things in life are no-brainers, total common sense, but why are they so hard to actually do? Partly because I’m a total control freak. I’m living that right now, and again it’s one more thing that I tend to chalk up to my failures. I feel like I’m buried in just being. I have no idea anymore what to even hope for. But, for a bunch of you out there, I know you are going to say, “But, Katrina, aren’t you a believer in Christ? He should be your hope.” You are right. I’m absolutely a Christ believer, but the reality of how I feel right now is that I’m lost and feeling totally hopeless. The line that really resonated with me was “My whole life was designed by You” – even this un-special life that I feel like I’m living right now. He’s designed this turmoil that I feel by just being me, He’s designed my days where I’m a referee and taxi driver all day long, He’s designed my body and how it looks and knows how incredibly frustrated it is when parts stay one size and don’t function like they should, and He’s designed my business and only He knows when it will succeed. You know what? I’m so glad that I’m not God and I don’t have to know the outcome or the lessons that lie in store for me. Goodness can you imagine the stress of that job? The key to hope is perspective. I was so relieved to know that hope is not something that I can create for myself – it’s all from Christ. Just take a moment to read Psalm 62:6-8. Christ is where you will find your hope, He’s a safe place to be and for me that is all I need to hear. If I’m in Christ, then I’m exactly where I need to be and hope will be found, even if it takes me a hard to find it. If your hope lost, ask Him for it, especially if you can’t see it on your own.